I made a concerted effort last week to get fully caught up on bee blocks, to help clear my head and conscience, as i hate letting others down, and it was a lot of fun. 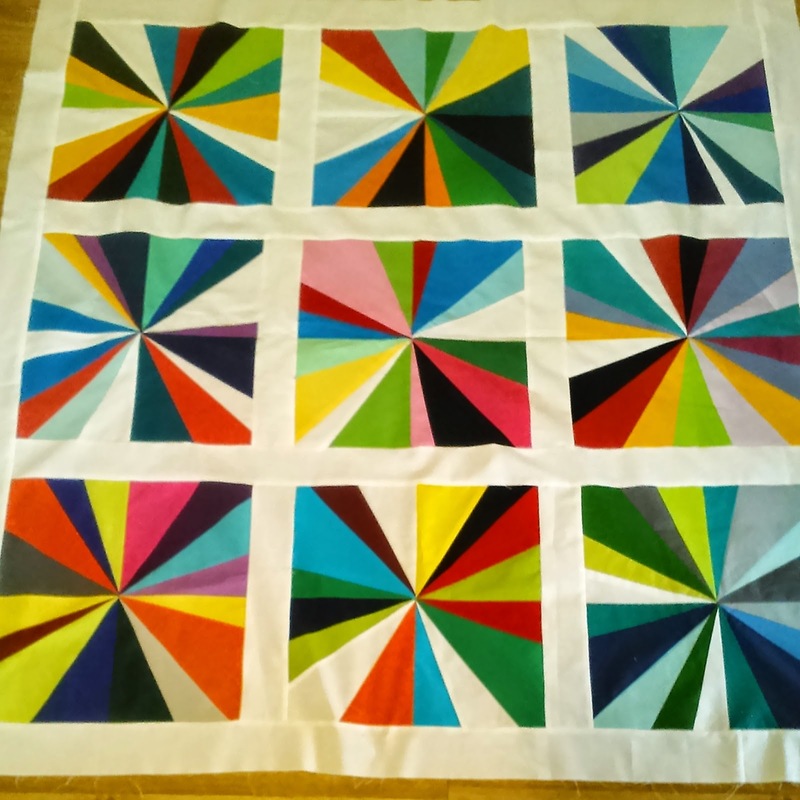 First up was the lovely Kari with her Kaleidoscope blocks, with this fantastic colour palette that Val originally used last year, its going to be gorgeous! 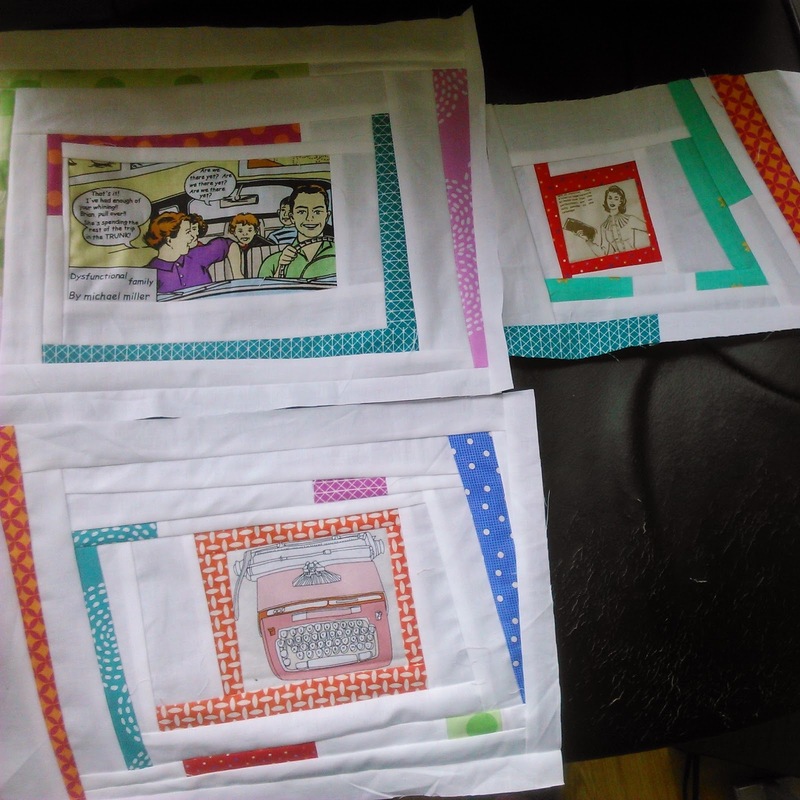 And so on i went to Susan's blocks, and she has requested fussy cut blocks with mucho wonkiness and bordered with lots of white and random strips of colour. The fussy cut centre was requested to be something that represented our personality, and i was desperate to use up one of my monkeys on a bench eating a hot dog, but for some reason S refused my kind offer. Not sure what she has against them, but I've been trying to convince her how good they are for the last two years, maybe next year! I particularly enjoyed making these blocks, and I think the centre of one definitely reflects me, but im not saying which one. 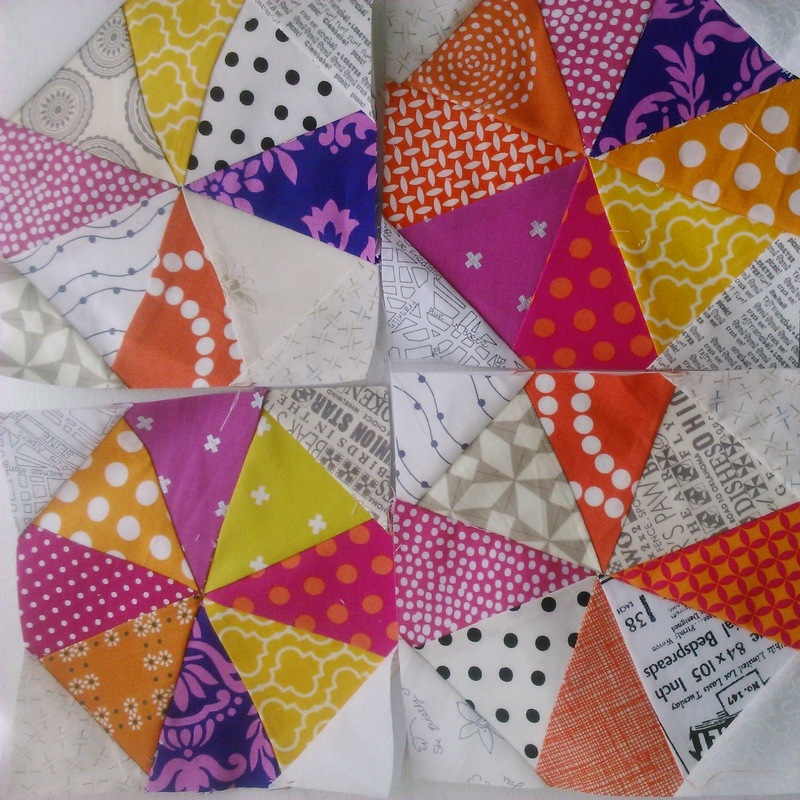 And I have managed to put together one of my long standing WIP's, which I am planning to donate to Siblings Together. Funnily enough, I now remember what I loved about this plan when I decided on this block for the Simply Solids bee a few years back. A lot of lovely work at your house, I love those solid blocks! Lots of fun and colourful sewing going on!! Makes me happy just looking at it!